Tethered to my game of Moxie on my iPhone 4S, I find myself being bothered by the fact that I should be productive. Reluctantly, I move to another digital device, my iPad, on which I choose to draft my post. That will make it easier for me to put this together without retyping, while I spend my Friday afternoon of Labor Day weekend, wanting to sit in my yard at my pool. After I am satisfied with my draft, I can email it to the blog, not having to inconvenience myself with handwriting, rewriting, typing, printing, and mailing it. A woman of the digital age, I am. I have wanted to write a post for this blog and my topic of choice is about a book I just finished reading – Alone Together by Sherry Turkle. There are many themes in this book, but the takeaway for me is about the use of digital devices which have such appeal to humans that we are rapidly and constantly creating significant culture changes. We are constantly connected to others via digital devices. The discussion is based on human behavior – how, how much, and why people are changing the ways in which we communicate, the way we play, interact with others, whom we consider to be friends, the loss of intimacy and privacy, the changes to etiquette, and basically, the enthusiastic volunteerism that is allowing the culture changes to occur. The book also covers some of the discontent that our use of our devices creates. People feel less attached, but have more attachments; people know they are less real in terms of online profiles, and they give less attention to interactions, all the while they realize that the online buddies may not be the same people offline, (how can this be satisfying?) and that they, too, are not receiving full attention in their digital interactions. And, they spend more of their precious time being with, and grooming their profiles for their online acquaintances. There are many points to ponder, and my feel was that there is almost a mourning for “the way we were.” I thought, sometimes, that the changes are not necessarily detrimental. In one example of this, people point out that roboticized companions for the elderly, and roboticized childcare providers can be better than people, in some cases – people who can be hurtful and neglectful. No doubt, there are different views on the benefits and downfalls of our digital age behaviors. And there are many questions that remain to be answered. 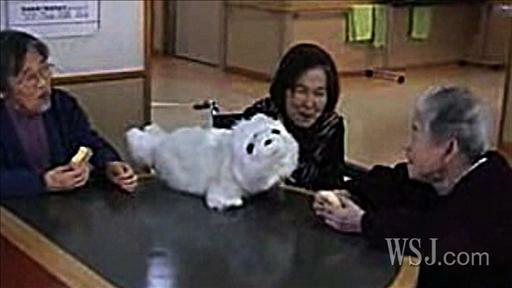 Elderly patients appear to be enjoying the company of Paro, a robotic seal. Pingback: Whats in a brain? 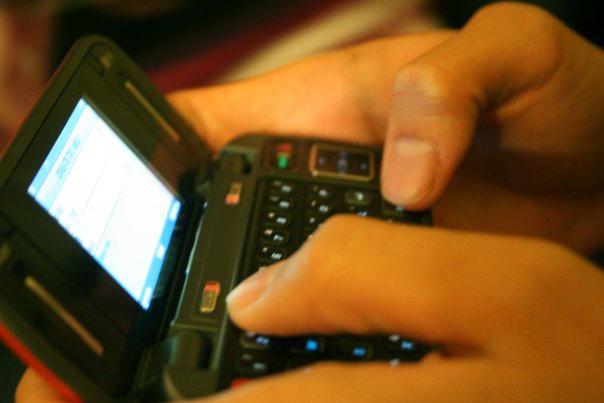 | Does technology unite or isolate us?